Join us for this complimentary webcast and learn about trends in big data analysis for advertisers and ad agencies. We’ll show you how it’s done inside one agency and how cutting-edge advertisers rely on Vertica to fly through analysis of huge amounts of data. 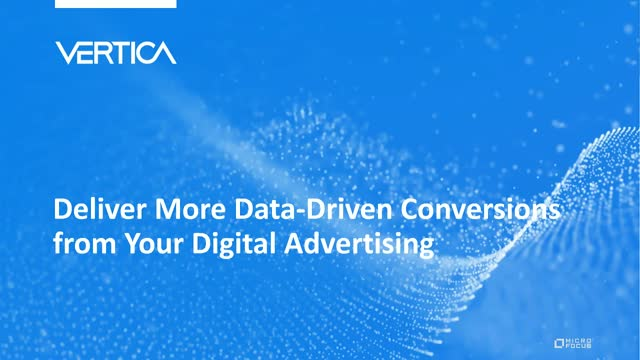 See how you can use Vertica for Big Data Analytics to deliver more tangible results from your digital advertising.